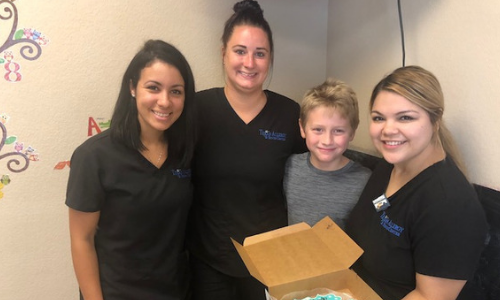 It was the first treat nine-year-old Beaux Bourgeois wanted to sink his teeth into when Texan Allergy’s food allergy specialist, Dr. Stacy Silvers, cleared him for cross-contamination of peanuts, which means he can now eat food that’s been processed with peanuts. “He said it was the best thing he had ever eaten,” says Beaux’s mom, Kristin Bourgeois. Beaux, who was diagnosed with severe food allergies as a young toddler, is used to being extremely cautious with food. 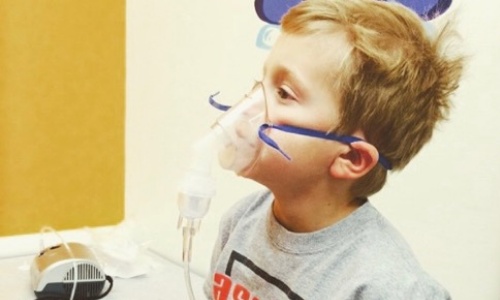 When he was two, an allergy test revealed he was allergic to peanuts, nuts, and sesame. “We walked out of that doctor’s office with a bunch of EpiPens,” says Kristin, “I was terrified!” Although the family has always taken extreme measures to protect Beaux from harm, she admits they had to use the EpiPens on two separate (and scary) occasions throughout the years. And his prayers were answered. In October of last year, Beaux began oral immunotherapy (OIT) for his food allergies and less than a year later, the Bourgeois’ pantry is now stocked with foods that at one time were forbidden inside their home, like peanut butter, peanut M&Ms, and more. Although Beaux is still undergoing treatment for other types of nut allergies, he’s cleared the first major hurdle.